At Community Life on May 7th, Upper School students and faculty were treated to presentations of exceptional academic work. 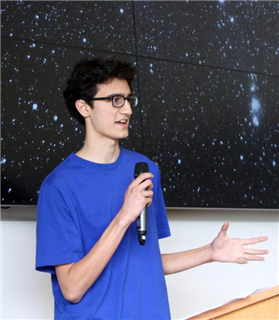 Students nominated by their teachers spoke about creative projects ranging from original dance choreography and astrophotography to a video tour of the campus narrated entirely in Chinese and helpful tips on writing a research paper. For their nominations, faculty members selected student work that reflected creativity, strong understanding, thorough execution and exceptional attention to detail.